June | 2009 | FreshTech. Quick launch comprises the four applications displayed across the bottom of your the Palm Pre screen. …and of course the Launcher (far right). 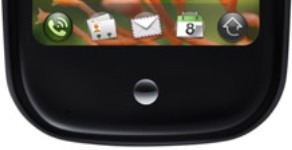 Tap the Launcher icon to displays all the applications and preferences on the phone. Note: You can replace the default applications with your personal favorite. Suppose you have information from various sources that you want to display on the Phone, Palm Synergy take this information and organize or layer them in a simple logical view so that you can understand them at a glance…similar to what’s shown here in the screen display. Simply tap the Email icon. This should take you to the Add An Account page. If it doesn’t, then tap Email, then Preferences and Accounts, and finally Add an Account. When the Add an account page appears, type in your Google email address and your password, then tap Sign In. The new account now appear in your list of In Boxes, your contacts in the Contact application, and your schedule events in your Calender…all synergized. To keep up with your Facebook friends, simply tap the Contacts icon. This should take you to the Add an Account page. 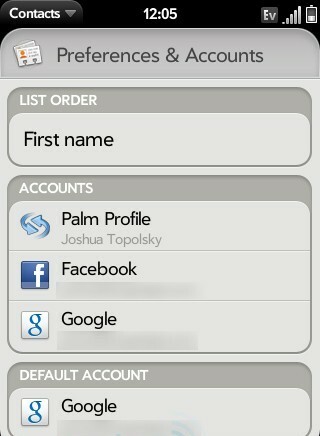 If it doesn’t, tap Preferences and Accounts, then finally Add an Account. Next, tap Facebook and enter the email address that you use to sign in to your Facebook account, and your password. Tap sign-in and your Facebook friends will appear as contacts on you Pre. Go to Calenders and your facebook events will be there as well. Accessing ‘Old” Content for Your Newly Registered Kindle. Visit the manage your Kindle page at the Amazon account. Scroll down to the “Your orders and individual charges” section. Select the Kindle listed in the “Download/Send to” drop-down choices. Schedule delivery of your existing books to the new kindle before it arrives. Your books will be automatically downloaded to your Kindle once you receive it and turn it on, providing, of course, you are in the wireless coverage area. Select “Archived Items” from the Home screen or “View Archived Items” from the menu. Select the item from the Archived Items screen. Win 20,000 in Amazon Gift Cards…. Amazon announced today that you can win $20,000 in gift cards and the chance to have you work seen by million of other Amazon customers, and a screening at the the 15th Annual Gen Art Film Festival in New York City. To do so, you will need to film your own short video advertising Amazon or the Amazon Kindle. For more information Go the the Amazon website. Press and hold to turn phone off or switch to airplane mode in which you can watch videos, listen to music, and use other non-wireless features. Displays your applications as minimized cards, allowing you to easily move among them, or re-order them. To maximize(blow up) an application, simply tap its card. It allows you to turn-on or off the connection features of your Pre including wi-fi, bluetooth, or airplane mode. You will see items such as preferences and help, and commands such as cut, copy, and paste for you to navigate through the chosen application. Displays information from several sources in a simple logical view so that you can track each event easily. Start typing and Pre begins searching for you. First it narrows the info of the people and application on your phone. If it’s not on the phone, Pre switches to the web. You can choose a google, wikipedia, twitter, or maps search. These are messages that appear at the bottom of the screen alerting you of an incoming call, missed call, text messages, voice mail, email, and more…you can either ignore it or tap on it to act on it. If you have a Pre, we would love to hear from you. Please do not hesitate to share your experiences with us as we strive to make this page one of the best for Palm Pre information. The palm pre is an intriguing little device. I have decided to follow it alongside Apple iphone because I believe that it is going to get interesting. The competition is already on…and in case you wondering how well the Pre will do, I am going to make a prediction. It is going to do well. If I am wrong, I will eat my words, but for now, I like the idea of finally having a smart phone that has the potential to give the iPhone ‘real’ competition. With over 21 million sold worldwide and 50,000 plus applications available for download at the Apple store, the iPhone is in a class all by itself. …not to mention the latest launch of the iPhone 3GS with some stellar features. What’s so special about the Pre? 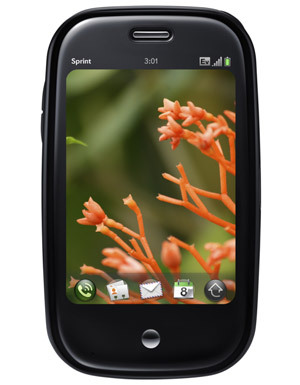 It is being touted as the 1st phone built to simulate the web itself. It can sync with the web, take data feed from email, pictures, video, facebook, linked in, twitter pals, and combine them into one comprehensive contact list without duplicates…a concept known on the Pre as synergy. Also, with a feature called Universal search, if you just start typing on the keyboard, WebOS pulls up a pane that searches will search your contacts via google, wikipedia, or twitter. Type a question and you have the answer almost immediately. The user environment is a website. That means anyone who can build a website can write an application for the platform. This opens the door for a ton of future applications. Also, the user interface can run a dozen applications simultaneously. Each application is represented by a virtual card. To switch between programs, simply leaf through the cards. To close an application , simply filck away the card. 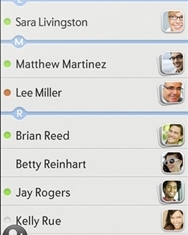 Clearly, the Key to the Pre’s success will definitely hinge heavily on it WebOS application. Can run a dozen at a time. Cleverly organize facebook, Gmail, calendars, and exchange contact into one. Stay tuned for a more detailed comparison later. In the meantime, let us know your thoughts. If you purchased a book or article on your Kindle, you can automatically receive the most updated version of that title…if there is one. All you need to do is log in to the manage your Kindle section of your Amazon account, scroll down to the Your orders section of the page, choose the content of interest and re-send it to you Kindle. You need to make sure that your wireless option is turn on for immediate delivery. If you are not in a wireless covered area, then you would download the content to your computer, as usual, then use the USB cable to transfer to your Kindle. That’s it! If there are any updates, you got it! Tip of the day: If you want your Kindle battery charge to last longer, turn on your wireless only when you are downloading content, otherwise keep it off.